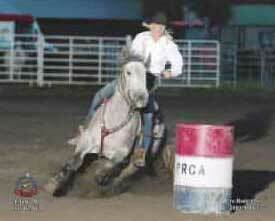 Captainsgotsneakers - “Sneakers” was a very nice barrel horse; she won $20,000+ at rodeos and barrel races and was a futurity money earner as well. Her full brother Shu ended up in the top 40 in the world WPRA standings 2014; he has run multiple 17.0’s on the standard pattern and is a past OMAK Stampede Champion, Placed at rodeos such as Fort Worth, San Antonio and qualified for THE AMERICAN. 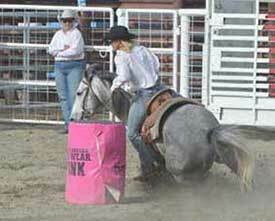 These are talented horses who have proven they are top rodeo horses and athletes. 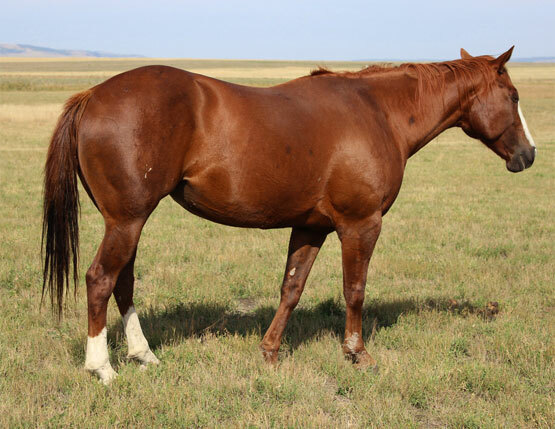 Sneaker’s sire is of course Captain Biankus - 2X NFR Qualifier, DNCFR Champion, 4x Columbia River Circuit Champ, Futurity winner. Captain won or placed many prestigious rodeos including St. Paul, OR, Tucson, AZ, Oakdale, CA, Denver, CO, Houston, TX, Calgary, CN, Yuma, AZ, El Paso, TX, Red Bluff, CA, and many more. 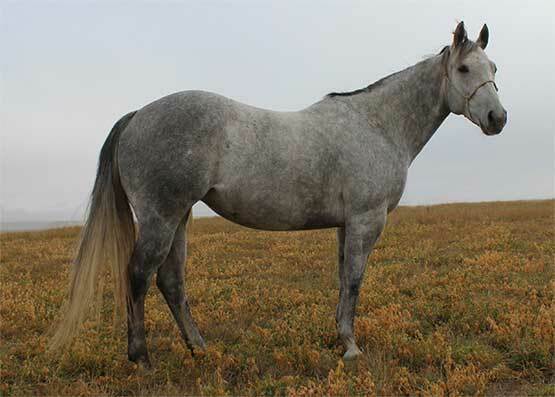 Captains many full siblings - including Sam Bar Biankus, Princess Biankus, Kue Tee Bar Biankus, Kay Tee Bar Biankus and Bella Bar Biankus - were also successful barrel horses, winning futurities, high school rodeos, college rodeos and pro rodeos. 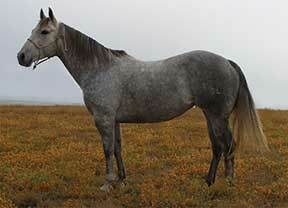 Captain Biankus was also a great SIRE of barrel horses having sired Futurity Winners, Derby Winners, Amateur and Pro Rodeo winners. His offspring include Captain Cash Us, Bank On Biankus and Captain Kid Biankus, Blazin Biankus, Beep Beep Biankus, Captains Prospector, Sniper Biankus, Barrelin Biankus, and Captain Neon Leon to name a few. Shes Gotspeedy Shoes is Sneaker’s dam. Her race record was - 20-3-2-0. 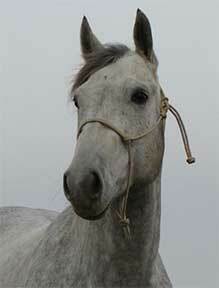 She was sired by Beduinos Best Boy, a son of Beduino that Vessels Stallion Farm raised. Leo, Barr Heels, Custus Rastus, Joe Reed etc. Biankus, an unusual name, pronounced by those who are closest to his roots as by-an'-cuss. Two (2) Biankus sons have made it to the NFR, and both are stallions: Captain Biankus, owned by Kelli Currin, made two trips with Kelli at the reins. Bogie Biankus, owned by Randi Rae Britt, was ridden at the NFR by Katie Garthwaite (McCoin). At the 2008 Northwest Finals for the BRN4D, with between 400 and 500 horses competing daily, Biankus bred horses won over $28,000! There were six (6) Biankus bred horses out of 20 in the championship round. Sons and daughters of Biankus continue to produce winners today. Owners testify to them being easy to start, and quick learners, with lots of 'try'. These horses 'hunt' a barrel and all seem to have a natural rate. It is almost unheard of that one would run past a barrel.